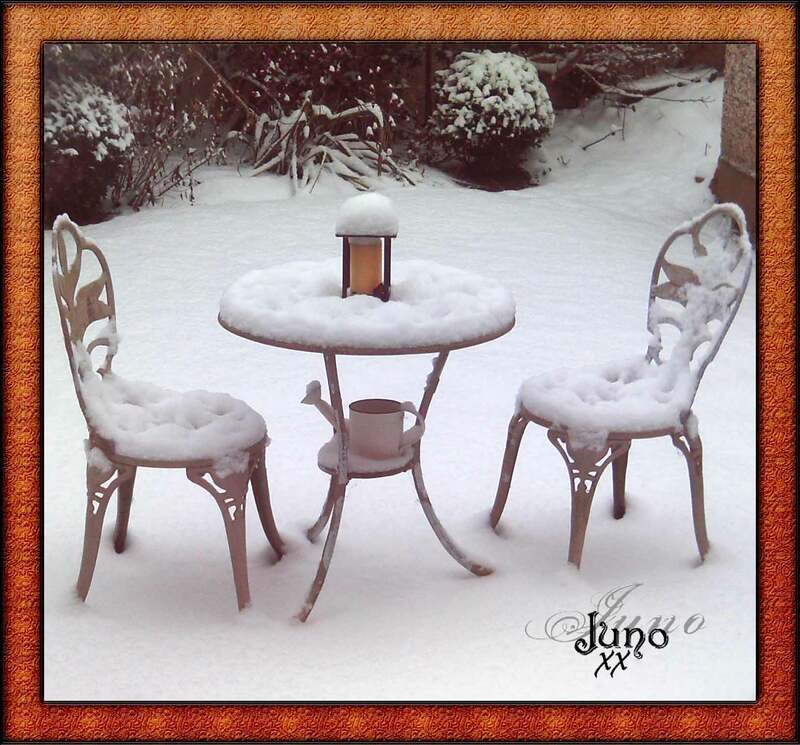 Spot of tea on the patio? Anyone?? So beautiful to look at, I have to say I am glad the snow is gone. Isn’t it astonishing that something that falls so gently and delicately from the sky can cause such havoc! I’ve been leaving out apples for the birds each day – they find it difficult to find water when everything is frozen, so I thought something juicy would be a good idea. The thrushes and blackbirds that came to visit apparently thought so too. So cute to see them right outside your window! Vicky, thank you for your enquiry about my Paper Chain People. Just follow the instructions on the How to Donate Page. I wish you every success with your website. 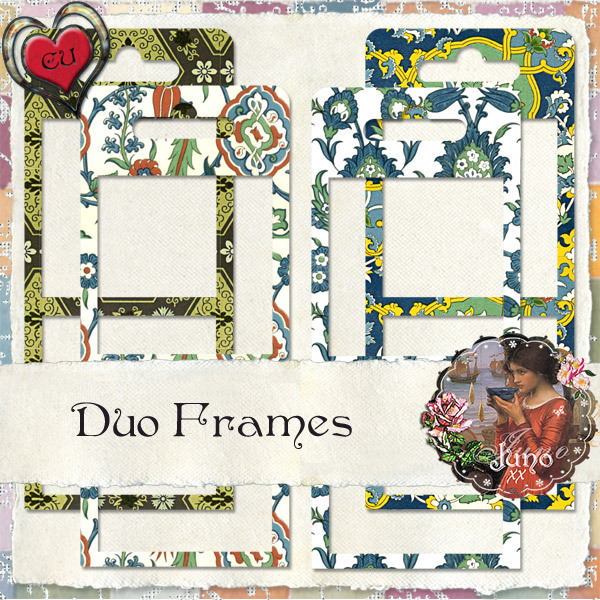 And a little gift for you, a Commercial Use set of double frames in cheery patterns. The frames are approx 3 x 6.5″. Warm thanks to Gunhild for her template. Check the included TOUs for usage permissions and restrictions, and leave a comment or email me if you have any queries. My pleasure, margie. I’m hoping that is the last of the snow for this winter! Thank you so much for the new freebie–the frames are great, and they can be used is so many different pages. I am glad I found your site. Hi Wyo Spring, delighted you are finding the frames versatile. Coucou, babette, et merci de votre commentaire. Thank you so much for this post. I want to let you know that I posted a link to your blog in CBH Digital Scrapbooking Freebies, under the Elements or Papers post on Dec. 29, 2010. Thanks again. De rien, aaa. Merci beaucoup de votre visite! Glad you like them, redjanfan.